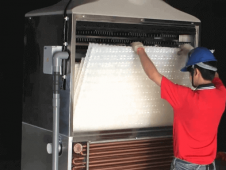 What is evaporative cooling and Wet Bulb temperature? 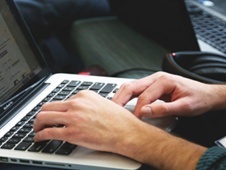 The definition of cooling is that lowering cooling water temperature or fluid to similar to ambient environment. For cooling equipment, no matter cooling tower or air cooled cooler is that using atmospheric temperature to decrease target temperature. This process is called evaporative cooling. So we can grasp that the inlet air temperature is an important key to affect the performance of cooling tower. The inlet air temperature is also called Wet Bulb temperature. The lower wet bulb temperature is, the better cooling effect gets. The Wet Bulb temperature varies with climate temperature and humidity. To know about local wet bulb temperature, it is necessary to realize local temperature and humidity for calculation. Wet-bulb temperature (WB) adjusts according to the temperature and humidity of different regions. If you want to calculate the local wet bulb temperature, you must know the temperature and humidity at that region. How does wet-bulb temperature affect cooling capacity? Cooling tower efficiency index that depends on its cooling temperature whether is close to wet bulb temperature. The temperature difference between outlet water temperature (water temperature for equipment) and wet bulb temperature is called approach temperature. 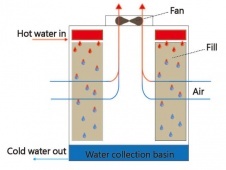 Theoretically, the hot water produced by machine enters into cooling tower to proceed in heat exchange with air; and then, air becomes saturated water vapor and is discharged by operation of fans. This makes hot water get down into wet bulb temperature; but actually, most air through heat exchange cannot reach to saturated status. Therefore, hot water are usually higher than wet bulb temperature for 3 to 6 degrees after cooling. Normally, we choose smaller cooling tower when the temperature difference between outlet cooling water and wet bulb temperature is bigger. 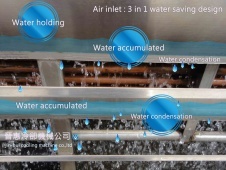 On the contrary, big type cooling tower is used when smaller temperature difference between outlet cooling water is closed to wet bulb temperature.